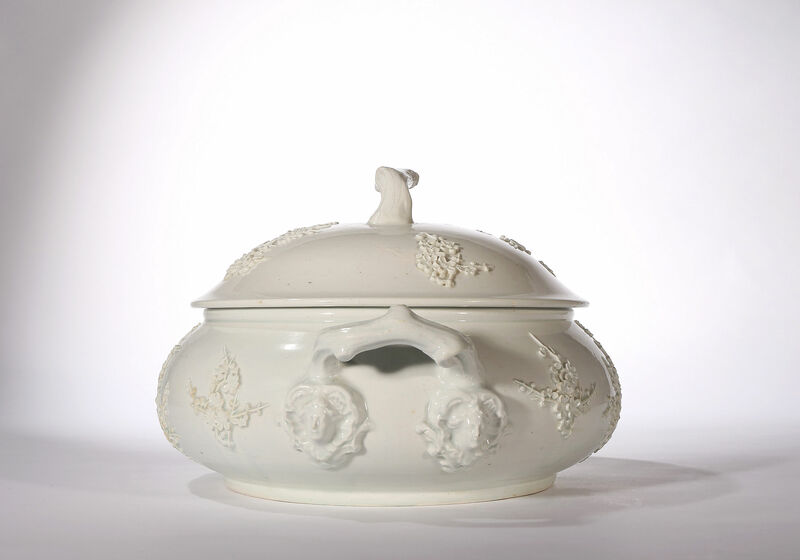 Squat circular tureen and domed cover with branch handles with ladies head terminals. The body with applied prunus decoration in high relief. 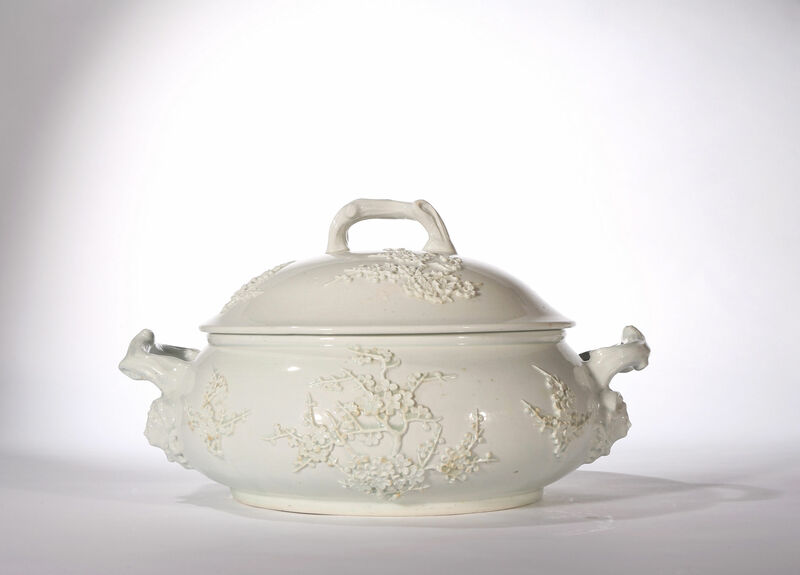 This is one of the largest tureens made at Bow and exceptional in having a provenance back to its original owner George Burnett (1714-1780), 3rd Laird of Kemnay. Another group of prunus-moulded Bow porcelains with a Scottish provenance are in Dumfries House. 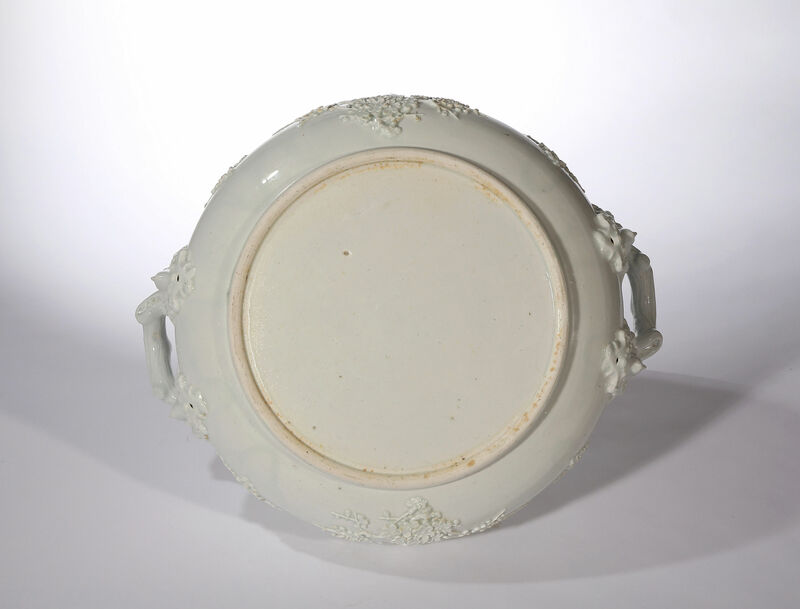 The Bute archive contains two invoices for early Bow porcelain for the 21st of August 1749 and 2nd of November 1749. 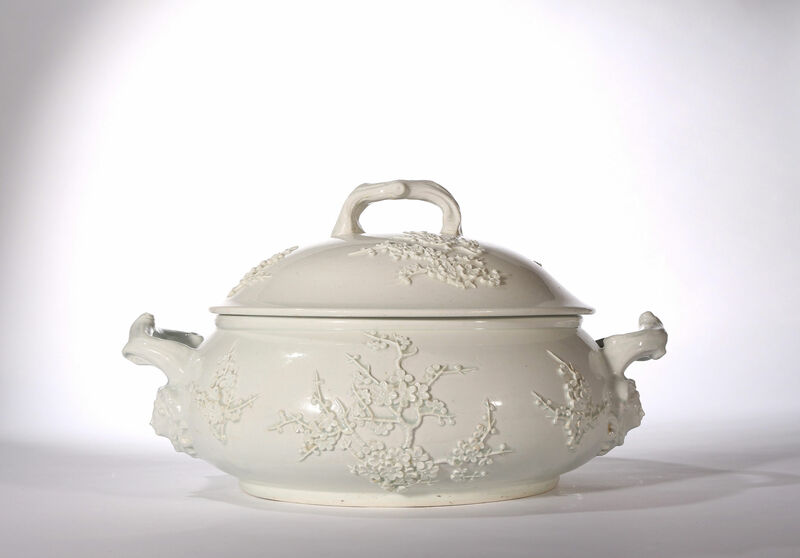 These refer to purchases made for Dumfries House directly from the factory which is described as ‘Bo.t of the Porcelain Comp.a at New Canton’, (See Christies catalogue Dumfries House, Volume II, 13 July 2007, p.100). Condition – Handle of lid restuck, Section of prunus and another small section on the cover restuck and two areas of loss to the prunus, old firing crack around the body visible on interior. Provenance – Purchased by George Burnett (1714-1780), 3rd Laird of Kemnay, Kemnay House, Aberdeenshire thence by family descent to the present owner. 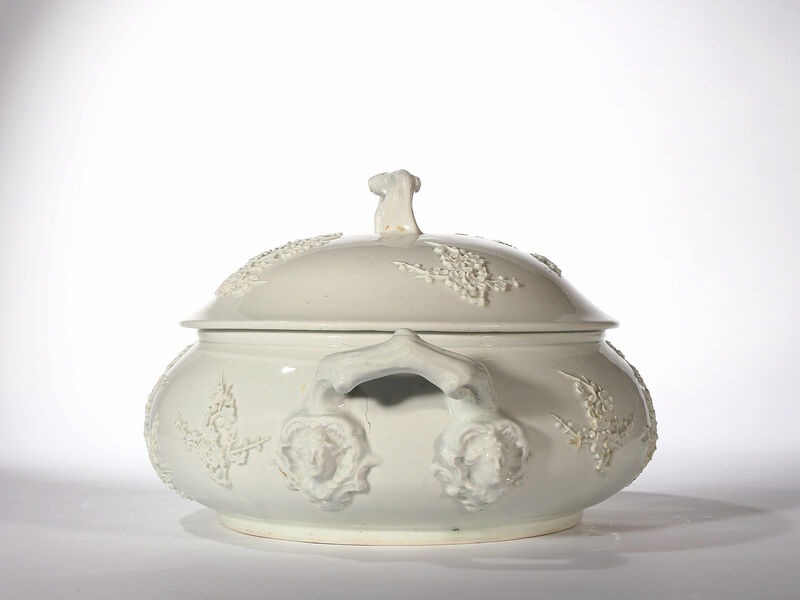 The family archive lists the tureen in a house inventory of 28th April 1774.